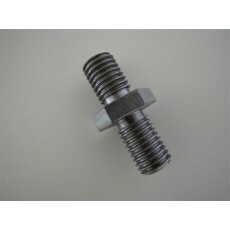 Male to Male Stud adapter to suit Codan 9350 Antenna. Hand made in Australia- Quality zinc plated brass construction. Standard Codan 9350 thread pitch. Hard to get hold of-Not available from Codan as a spare part!